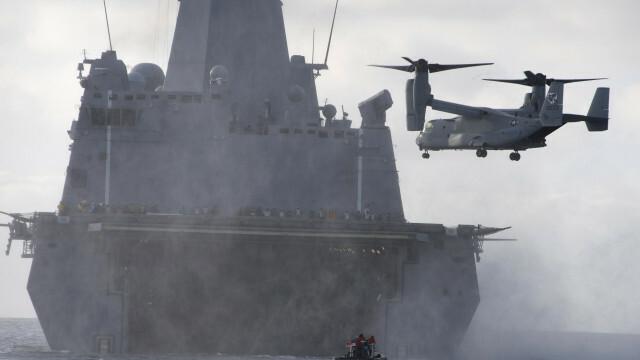 The Navy-Marine Corps team is united in fulfilling the mandate to be where it matters, when it matters, despite budget pressures, the chief of Naval operations told Congress on Tuesday. Navy Adm. Jonathan W. Greenert described Marine Corps Commandant Gen. James F. Amos is “a great shipmate” and said interaction between the two services has never been better. 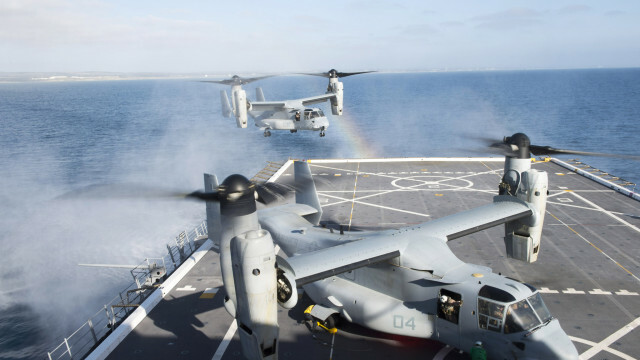 Greenert told the House Appropriations Committee’s defense subcommittee that Navy’s efforts are focused in the Asia-Pacific region and the Arabian Gulf, but the service continues to provide presence and response as needed in other theaters. “As we conclude over a decade of wars and bring our ground forces home from extended stability operations, your naval forces will remain on watch,” Greenert said. The Navy’s forward presence dissuades aggression against the nation’s allies in the East and the South China Seas, the admiral noted, and helps to deter piracy in the Horn of Africa. “Now, with this forward presence, over the last year, we were able to influence and shape decisions of leaders in the Arabian Gulf, in Northeast Asia and the Levant,” the admiral said. The 2014 budget will enable the Navy to maintain an “acceptable” forward presence, Greenert said. There are sufficient funds to restore fleet training, maintenance and operations and recover a substantial part of the 2013 backlog, he noted. The prospect of returning to sequestration-level funding in 2016 is “troubling,” Greenert said. “That would lead to a Navy that is just too small and lacking the advanced capabilities needed to execute the missions that the nation faces and that it expects of its Navy,” he told the panel.